AnthonyBurgess is a Legacy Library. Legacy libraries are the personal libraries of famous readers, entered by LibraryThing members from the Legacy Libraries group. » Anthony Burgess's legacy profile. AnthonyBurgess is also an author. » See Anthony Burgess's author page. 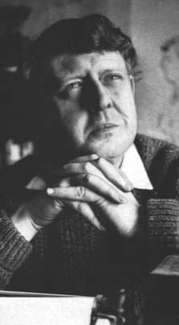 About meJohn Burgess Wilson (pseudonym Anthony Burgess) (25 February 1917 – 22 November 1993) was an English author, poet, playwright, musician, linguist, translator and critic. His dystopian satire A Clockwork Orange, widely considered to be his magnum opus, is by far his most famous novel, and was adapted into a famous, if highly controversial, 1971 film by Stanley Kubrick. However, the author later dismissed it as one of his lesser works. Burgess produced numerous other novels, including the much loved Enderby quartet. He was also a prominent critic, authoring acclaimed studies of classic writers such as William Shakespeare, James Joyce, D. H. Lawrence and Ernest Hemingway. Aside from literature, Anthony Burgess was an accomplished musician and linguist; he composed a number of libretti and translated, amongst others, Cyrano de Bergerac, Oedipus the King and Carmen. About my libraryEn 1998 sont entrés à la BU d'Angers, grâce à Mme Liana Burgess, deux importants ensembles de livres ayant appartenu à Anthony Burgess : - la bibliothèque de sa maison de Provence - la bibliothèque de Malte. Les ouvrages sont conservés dans une salle qui évoque le souvenir d'A. Burgess, grâce à des objets personnels : orgue électrique, table, cartable, machine à écrire, coffret à cigares.